This online auction features dining chairs, wall art, mirrors, flat screen TV, dishwasher, tools, pottery, rugs, glassware, meat slicers and much more. This online auction features Victor Safe and Lock Co. Safe, Cannondale Bike, Trek Bike, Wizard of Oz Dolls, Model Race Cars, Meade Telescope, Asian Ceramics, Asian Style Area Rug, Asian Planter Tables, 33 RPM Vinyl Records, Beer Steins, Bavaria German tea set, weighted sterling shakers, Drop Leaf Table and much more! This online auction features and ANTIQUE bench. VINTAGE: Dolls/toys/lunchboxes; school desks. Brownie Hawkeye camera; 45's; wooden wares/household helpers; sad iron. STERLING SILVER: Serving pieces. 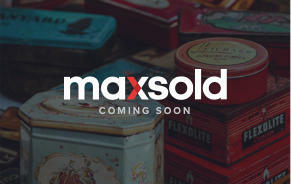 COLLECTIBLE: MANY MADAME ALEXANDER DOLLS; 1996 Atlanta Olympics; many LONGABERGER BASKETS with pottery - tea sets, salt and pepper; canister sets. FURNITURE: Pierre Deux wood cabinet; two white painted, blue upholstered love seats; vintage three drawer chest of drawers. ART: TEN SIGNED AND NUMBERED P. BUCKLEY MOSS PICTURES as well as other signed pieces. Rosenthal dish set. DOG BEDS AND SUPPLIES/ACCESSORIES and much more! This online auction features Weber. Charcoal Grill, Kayak, Schwinn Bike, Giant Bike, extension ladder, Samsonite luggage, Black and decker air compressor model 9527, Ryobi finishing sander, Ethan Allen Chair, Pentax Asahi K1000 camera, Seth Thomas mantle clock, Vintage Doll, vintage velvet crazy quilt pillows, LEGO Star Wars Set, IROBOT, Phillips Tv, Saxophone Ethan Allen Dresser and much more! This online auction features Cats Meow Figurines, Oak Entertainment Center, Vizio 37 inch Tesla TV, Sofa Table, Coffee Table, Insulators, Jewelry Armoire, Pie Safe, Antique Oak Cabinet, Noritake China, Rockhill Mennonite Church Pew, Weber Gas Grill, John Deere Riding Mower, Kenmore Refrigerator and much more! This online auction features Bedroom Set, TV, Art, Laptop Bags, Leather Loveseat, Tea Cups, Gong, Leather Office Chair, Celestron Telescope, Bose SoundDock, Luxury Pens, rugs, Kitchenware and much more. This online auction features a wheelbarrow, outdoor furniture, grill, planters, ladders, 2008 Ford Taurus, electric fireplace, glassware, jewelry, electric guitar, tools, safe and much more. This online auction features Wood Trunk, Lps, Colonial Style Rocker, Kids Table And Chairs, Lizzie High dolls, Fiesta dish, Le Creuset, Gorham Sterling Silver, Area rug by Ariana, Waterford Crystal Ornaments, Raggedy Ann and Andy, Wicker Sofa, Sewing Table, Lionel Train Cars and much more! This online auction features Tiffany candle sticks, rugs, china, silver, vintage magazines, costume jewelry, Christmas Decor, crystal, vintage trains, Japanese vases, vintage cufflinks and much more! This online auction features a Yamaha Electone organ. Sierra pool table. VINTAGE: Marble topped dresser with mirror, full size rope bed; bed warmers and rug beaters; cigar roller trays; sled and toys. COLLECTIBLE: Coins and stamps; bells; auto enthusiast collection of Ertle car banks/model cars/wooden cars/magazines/ramps and jacks IN THE GARAGE and more! GLASS: Red Fenton and souvenir glass; depression - green and bubble. CHINA: Noritake, SC, Japan "Hibiscus", Stangl dish sets. JEWELRY: Sterling, and costume and much more! Your buying process is smooth as silk. You provide a safe way for someone to downsize or to do an estate sale. I've already recommended to a friend that she should use you when she needs to downsize her parents' home. Dianne was outstanding person to deal with. Everything ran smoothly from start to finish. Very professional and each lot had several pictures and very detailed descriptions of each item. I was very impressed with the whole process. Dianne not only organized the stuff but did also cleaned up and did some research on the items. 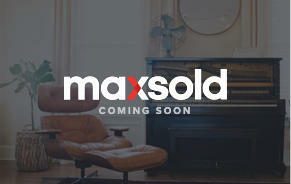 I couldn't be happier with MaxSold and Dianne who ran the auction! The auction process was very smooth; pick up was easy and convenient. 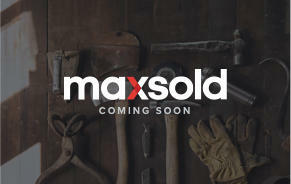 This is my 3rd MaxSold auction. LOVE IT!! Everyone wins. seller, buyer and mother earth!! My experience was awesome. Couldn't have been easier shopping and bidding and the pick up process was expertly conducted. Very satisfied with my purchases! Smooth!!!! My first time! Thank you! 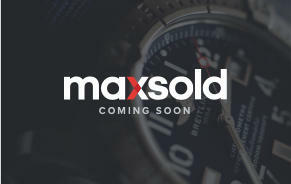 Although outbid on 2 of the 3 auctions I was trying for, the bidding process, checkout process, and pickup processes were all quick, easy, and efficient. Well organized staff and great signage in locating the property. Jeremy and Patti were great. Helpful and knowledgeable. Solution-oriented. Very thorough! Thanks again for all you've done up to this point. 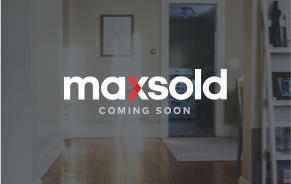 Such a tremendous help and relief knowing the property and its contents are being handled professionally. "The support team of Heidi, Ed, Diane ,and Doreen were excellent! They made the process of downsizing my parent's home simple and painless. I felt immediate confidenc e in their honesty and skill." Katherine was amazing! She was so thorough with her explanation of the cost and the process. She also did a fantastic job of helping us organize our stuff into lots! She is very friendly and essy to work with! 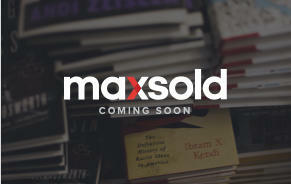 It has been excellent to go through the MaxSold process. 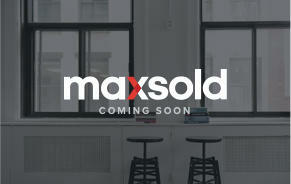 I'm really impressed and hope that there are more opportunities in the Philadelphia area for MaxSold! 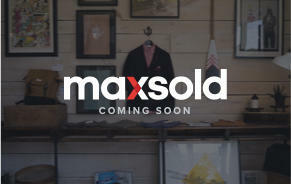 Very pleased with the process and results of the maxsold auction. Dianne Formica provided invaluable assistance - very efficient and professional. Pick up was well organized. Appreciate your help.